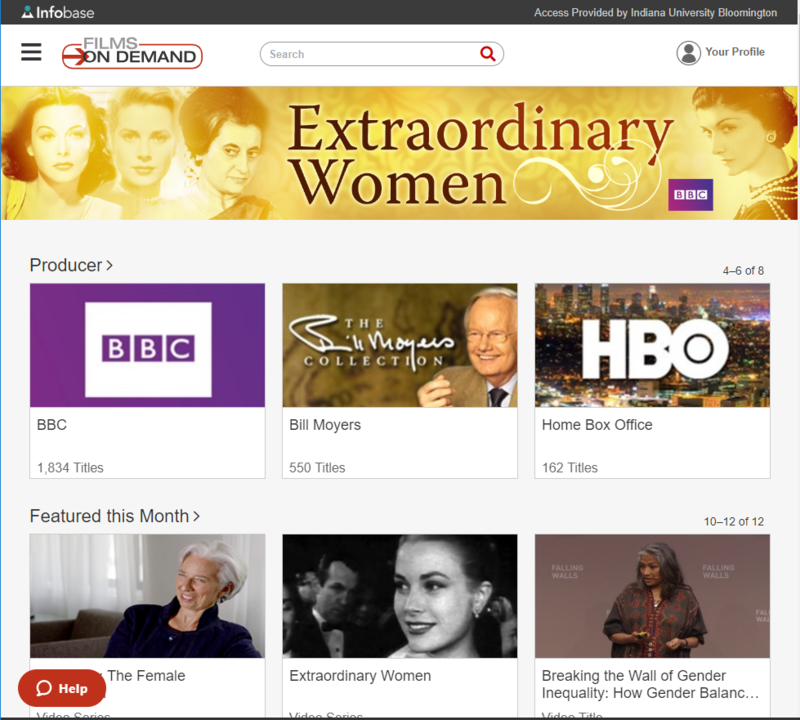 This blog post is one of a series that highlights Media Services’ online streaming databases. More information and a full list of streaming databases is available here. Visit our department home page to discover the many ways we support teaching, research, and learning with both streaming and physical formats! Among the many online streaming resources IU offers is Films On Demand’s Master Academic Collection, which houses over 17,000 titles in disciplines such as Anthropology, Communications, Criminal Justice & Law, History, Music and Dance, Political Science, Psychology, Sociology and more. Its home page, which can be accessed through the Media Services Online Streaming Databases webpage, has a familiar and easy-to-navigate array of films and videos arranged based on topic, producer, popularity, etc., much like Netflix. While educational, most of the videos seem far from purely academic or dry. Here, one can watch the entire Planet Earth II series, learn key leadership skills, and discover how soup cans and pop art changed the world. Something unique to this resource is its variety of formats: it lists individual videos as well as video series, and it collects a variety of formats (from news segments and TED talks to full-blown documentary series). In the upper left hand corner, users will find a drop down menu that lists subjects, popular categories (such as Best of Ken Burns, Biographies, Exclusive to FOD, and Great Artists), and Featured Producers (including the American Museum of Natural History, Frontline, and PBS). The internal search engine is also very easy to use. One can search based on format, subject, type, copyright dates, language, and producer. It is quickly apparent when searching for a specific topic that this site can isolate segments from longer videos that address what is being searched for, which is a unique feature that could be very useful for writing research papers or targeting interest areas without having to comb through an entire series. In honor of April being National Poetry Month, I typed “poetry” into the search box, and an astonishing 4,315 results were found. 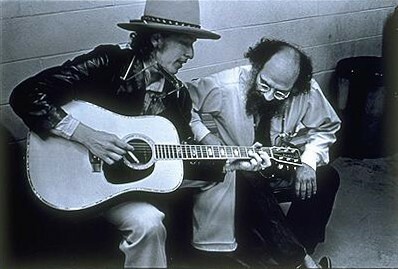 The first result was a series called “Poetry Heaven” that includes segments titled “Why We Write” and “The Lure of Poetry.” In addition to exploring questions of why we write, the videos feature contemporary poets–as well as Allen Ginsberg who has since passed away–reading and discussing their work. Poetry is as much an oral art as it is written, so videos like this are key to our full experience of the poem (if we are not lucky enough to hear Joy Harjo or Robert Hass read in person). Scrolling down, there are short segments on how to appreciate poetry, an educational series that teaches literary terms such as rhyme and meter, and even an clip of Amiri Baraka in conversation with Maya Angelou about how Marxism influences his search for concrete reality in his poetry. 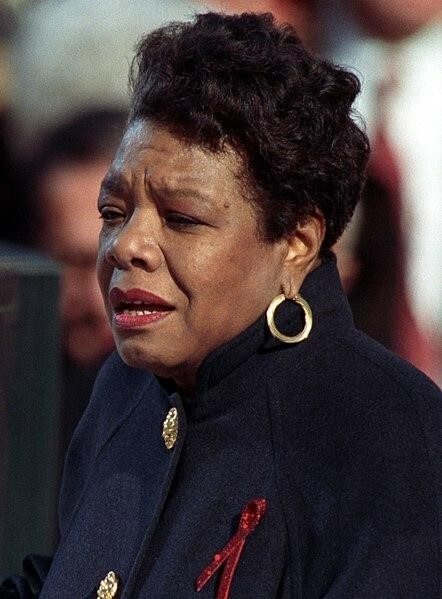 There are 105 search results for Maya Angelou herself, among them a recent feature-length film about her life and words, several hour-long interviews with Bill Moyers, and a video of Dr. Angelou reading at President Clinton’s second inauguration. Media Services staff member Anni Liu is a graduate student in Creative Writing at IU, published poet, and essayist. 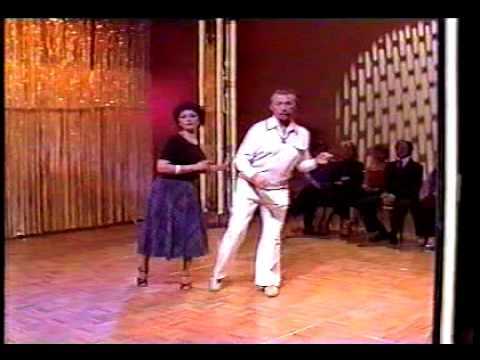 It’s SWANK, and It’s Swell! Swank is an online platform where IU students, staff, and faculty can watch feature films. Online streaming services are a modern convenience, but the St. Louis-based Swank company has actually been active since 1937. The founder, P. Ray Swank, got his start offering projection service “on demand” and on location. There were plenty of movie theaters back then, but, just like today, people also needed to show films outside the theater environment (think classrooms, churches, union halls). That’s where Swank’s service filled a gap. Back in the day, the Swank company would show up with a 16-mm projector, some film canisters, and a human being to roll film, change reels, and fix breakdowns. Today’s Swank service does a similar thing, minus the canisters and projector. Nowadays, the company works with universities, hospitals, and even cruise ships, providing a digital platform and taking care of the legal side of distribution and licensing for feature-film content. At IU, many different departments use feature films as teaching tools. The Media School is an obvious example. But because feature films can help shed light on practically any aspect of human experience, films are used in history and arts courses, cultural studies, gender studies, and others. 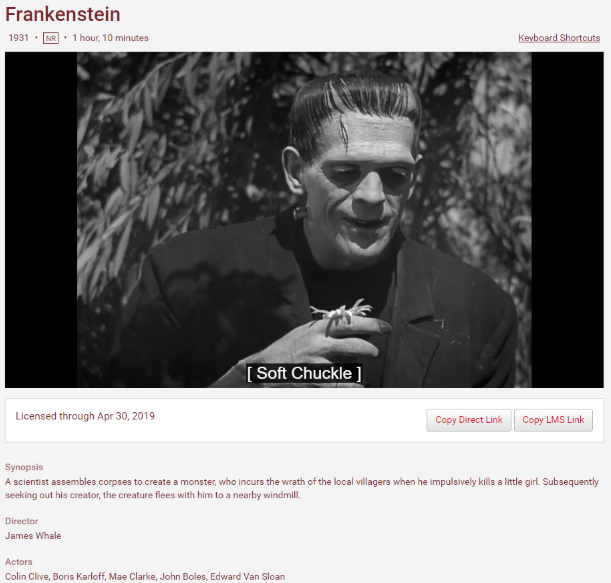 Classes in the hard sciences can use Swank as well, to discuss ideas like how science is depicted in Frankenstein (1931), or the implications of artificial intelligence as shown in Ex Machina (2015). All you need to access this resource is an internet connection. Just enter your IU login credentials at this link: https://libraries.indiana.edu/resources/swank. There are over 200 films that you can watch from all sorts of genres and decades. As the collection expands, there is more to browse through. However, if you are looking for something in particular, Swank also has an advanced search tool, plus an option for searching by genre. IU provides the Swank service so that instructors can require feature films in their course curricula. But you can also watch films on Swank for their sheer entertainment value! There is some crossover between the titles on Swank and other services (like Netflix), but Swank has some content not found elsewhere. 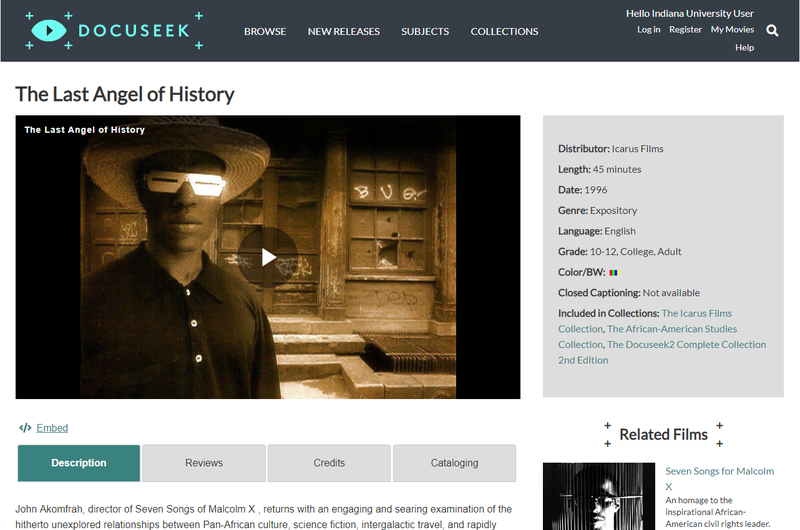 If you want to use film resources to enrich a class research project, be sure to check Swank! Throughout Spring 2019, IU continues to celebrate Mexico Remixed. 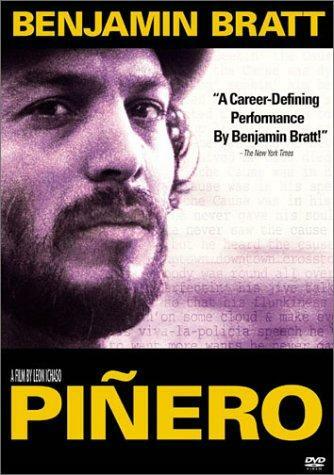 There are classic and contemporary Mexican and Mexican-American films available for viewing on SWANK! Check out this sampling below, browse in IUCAT, or go directly to the Swank platform itself. IUCAT summary: Inspired by a true story, this is the story of a vicious Latino prison gang leader, doomed by his past to a life of harsh, unforgiving violence after his release from jail. 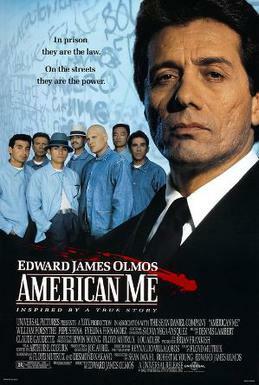 He grows up in East Los Angeles, joins a street gang and is in prison while he is still of an age to be in high school. By the time he is back on the streets again, he is a skillful, educated criminal. 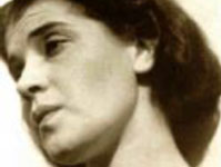 IUCAT summary: The life of artist Frida Kahlo, from her humble upbringing to her worldwide fame and controversy that surrounded both her and her husband, Diego Rivera. IUCAT summary: A group of immigrant workers takes a stand against the million dollar corporations who employ them. Fatima Coulibaly is a student and Media Services staff member at IUB with an eclectic taste in film who enjoys playing the piano. Except Jingle Bells. Mental illness has been a subject in the entertainment industry for decades and, much like the field of psychology, it has been evolving—in my opinion, for the better. However, better does not mean perfect, and in honor of Mental Wellness Month, I will talk about a couple of movies that depict mental illness with varying degrees of success, as well as offer suggestions for further information about mental illness and wellness. In Iron Man 3, we see Tony Stark, aka Iron Man, dealing with the trauma brought on by the first Avengers movie. We see this manifest in many ways throughout the movie. One of the first scenes we see is one of his suits of armor reacting to the panic brought on by a nightmare. Iron Man 3 also has a good example of how triggers work. Triggers can be anything from a smell, to an image, to a few words. They remind the traumatized party of the event and cause a mix of reactions such as short tempers, panic attacks, and anxiety disorder. In Iron Man 3, we see drawings done by children, small conversations, and dreams of past events all triggering these reactions in Tony throughout the movie. When looking at Tony’s friend Rhodes, his romantic partner Pepper, and a child named Harley, many of us in the audience will see a little of ourselves. Rhodes mentions that he is worried about Tony, because he has not been acting like his usual self. Pepper sees his behavior as reckless and dangerous. The child, Harley, picks at Tony’s psyche. Harley is very much there for the progression of the plot, but he is also a perfect visual of how some people react to those with a mental illness. While one party (Rhodes) tries to push for the truth, the other (Pepper) pushes Tony away for their own safety and well-being, and yet another (Harley) is just along for the ride. But no party is painted negatively for their role or responses. If you can find yourself in any of these characters, you can start to understand how your response to a person with mental-health issues might affect their mental state, either positively or negatively. 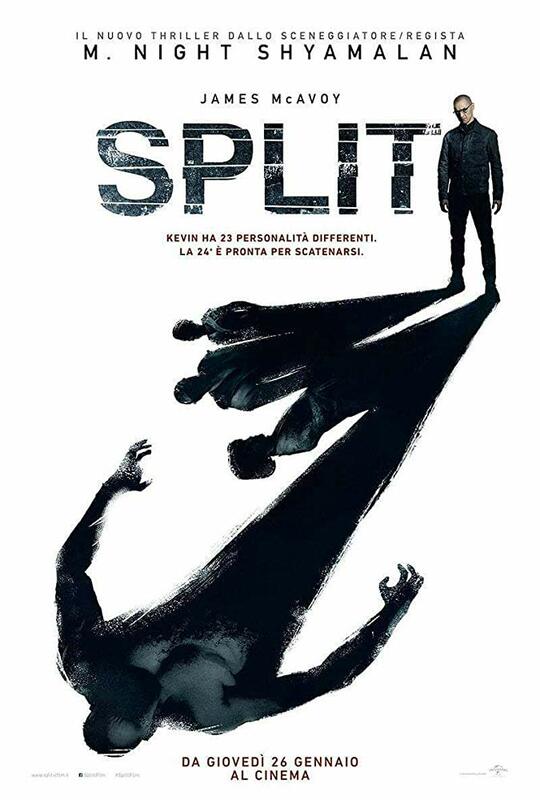 Split is a psychological thriller about teenage girls who are kidnapped by a person with an identity disorder. The antagonist has 24 personalities that are slowly counting down to the most violent one. Each personality has different mannerisms, clothes, and speaking patterns. While this is extremely common in persons with the disorder, it is also extremely ­uncommon for these identities to talk back and forth to one another. 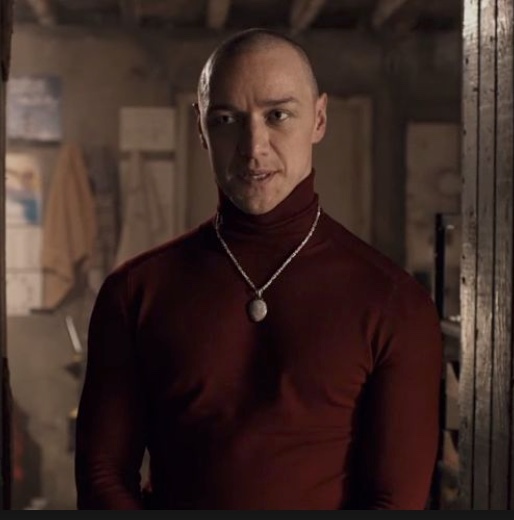 Split and some of M. Night Shyamalan’s other movies such as The Visit are unfortunate examples of mental illnesses being played up for the sake of entertainment and drama. This can be a disservice to viewers and real-life disorder sufferers alike, since the audience may not be well educated in various types of mental illness and might take some or all of the movie’s portrayal as truth. Tamara Lane is a recent graduate from the College of Arts and Sciences with a bachelor’s degree in Japanese Language and Culture and a minor in Studio Art. Current obsessions: Kingdom Hearts 3 and comic making. When it comes to streaming, IU has an embarrassment of riches. The university has long recognized online streaming access as a valuable resource and, to the good fortune of the IU community, has committed to maintaining and increasing that access as new resources become available. In December, 2015, the Media Studies department announced the addition of the DocuSeek 2 streaming database to the family of resources available at IU Bloomington. Viva la Causa. DocuSeek 2. 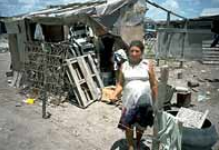 12 February 2019, http://docuseek2.com/cart/product/384. 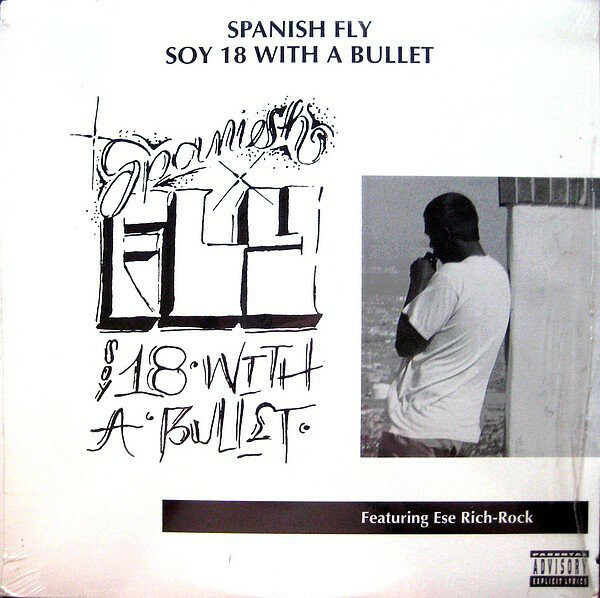 For more Mexico Remixed-related films, see list at bottom of post. The DocuSeek 2 website is well designed and user friendly, whether you are searching for something specific or just casually browsing. 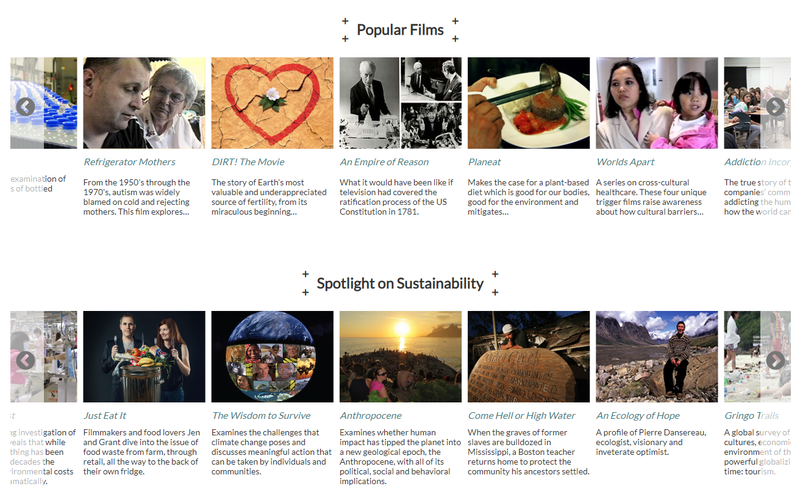 The home page has a slide show featuring new releases, plus scrollable ribbons for popular films and featured subjects like sustainability, as shown below. It also has a list of its distribution partners—Icarus Films, Bullfrog Films, Media Storm, etc.—and the top subjects in which they specialize. Pro tip: When using the DocuSeek 2 search box, start with general terms: after the first search, users are given the option of filtering by subject, distributor, date range, etc., so you can narrow it down later. DocuSeek 2 is a great place for discovering fascinating documentaries from filmmakers all over the world. Many of the titles run about an hour long, but in that short time you can be completely transported into a microcosm of life experience, often in a subject area you never knew could grip you! 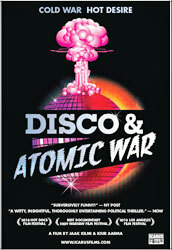 In contrast to the profound and personal nature of Hiroshima Bound, Disco and Atomic War takes a more whimsical approach to a serious topic, exposing the absurdity of repressive regimes’ attempts to control human curiosity and spirit, and their ultimate failure to do so. 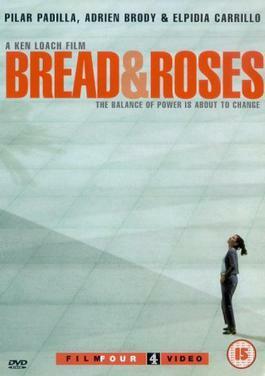 The film won Best Documentary at the 2009 Warsaw Film Festival and was featured in many other festivals. 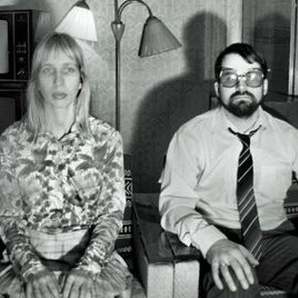 With great care and humor, filmmakers Jaak Kilmi and Kiur Aarma create a highly entertaining picture of their youth in 1980s Estonia. After neighboring Finland erects a powerful television antenna, many Estonians begin to secretly access forbidden Western television programs like Dallas. Quickly hooked on the glitz and intrigue, and their colorful contrast with the drab propaganda on late-Soviet television, Estonians begin to imagine different futures for themselves, something beyond Cold War hardships and threats of nuclear apocalypse. The film provides a wild and wacky look at how transnational cultural exchange—even with dubious ambassadors like J.R. Ewing—can help ignite movements for human rights and expressive freedom. Heather Sloan is the Media Services and Maps Assistant at Wells Library. Her research is focused on exploring interdisciplinary connections between popular culture, media, social justice, gender, and the environment. She holds a Doctor of Musical Arts degree in Percussion Performance and is currently pursuing an MLS degree with a specialization in Digital Humanities. The Hand That Feeds (migration studies/social justice): “…[b]ehind the scenes…of a popular bakery cafe…undocumented immigrant workers face sub-legal wages, dangerous machinery, and abusive managers…Mahoma Lopez…convinces a small group of his co-workers to fight back. The Monarch (nature): The monarch butterfly is at once the most familiar and the most mysterious butterfly in the world. It amazes us for what we know about its life and it tantalizes us for the secrets it still holds within its delicate frame – secrets that scientists and lay people in North America have been trying to unravel for decades. * Synopsis text courtesy DocuSeek 2 website—see individual title links above. In recent years, Hollywood has taken a shine to technology. Whether it’s hackers appearing in almost every heist or mystery movie now, artificial intelligence taking control of the world, or maybe robots that will eventually turn against us – we see its influence in almost every movie these days. But how realistic are these movies, anyway? Sure, it’s Hollywood – an industry that doesn’t shy away from exaggeration – but it’s still an interesting concept. In fact, some movies have even predicted the future pretty accurately. In this post, we look at a few examples of technology seen in movies and their counterparts, if any, in real life. The post concludes with ways to explore technology, both the “reel” and the “real,” using Media Services’ online streaming platforms. Let’s start with the big one – artificial intelligence, or AI. 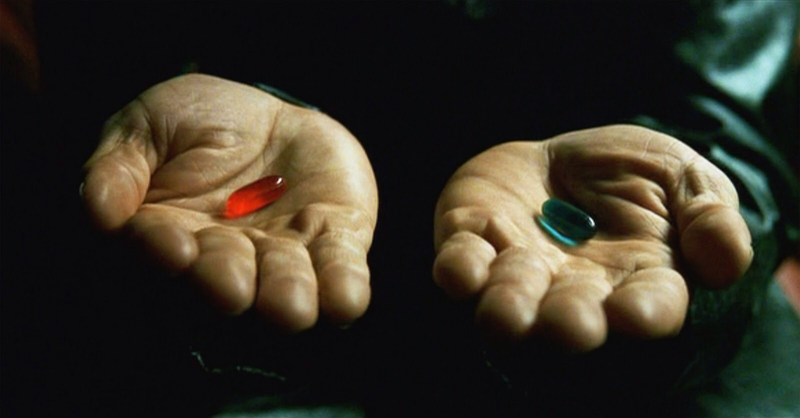 The best example of AI seen in movies is probably The Matrix, which is a phenomenal movie (when you finally understand it). In the movie, the world we live in is actually a computer program created by AI machines in the future. It’s the year 2190, where the machines are farming humans as their primary energy source and placing human consciousness in the Matrix so that we don’t rebel. Obviously an unrealistic scenario, or maybe we are all in the Matrix and the machines want us to think that…. 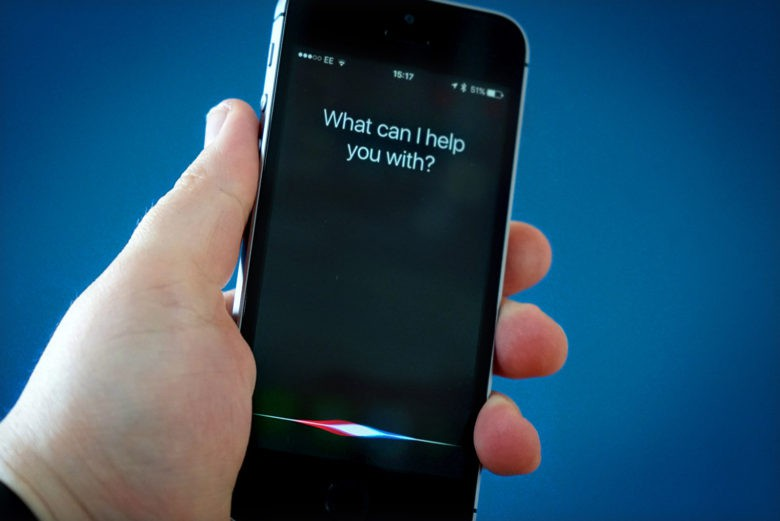 Every single iPhone these days has Siri, our very own AI virtual assistant, and other personal devices have their equivalents. Helpful and intrusive, they can also be destructive, like when you ask it to find the best local restaurant but it texts your ex instead. The Harrison Ford movie showcases the future “2019” as a dark, dystopian world with humans crammed into cities and living with genetically engineered android robots that look exactly like humans. The city is saturated with technology, with huge screens blasting advertisements and news in every corner. Well, it’s 2019 and there’s no sign of androids that look exactly like humans (then again, Jennifer Aniston hasn’t aged at all in like 50 years), but the movie was pretty spot-on in terms of the direction in which our infrastructure is going. 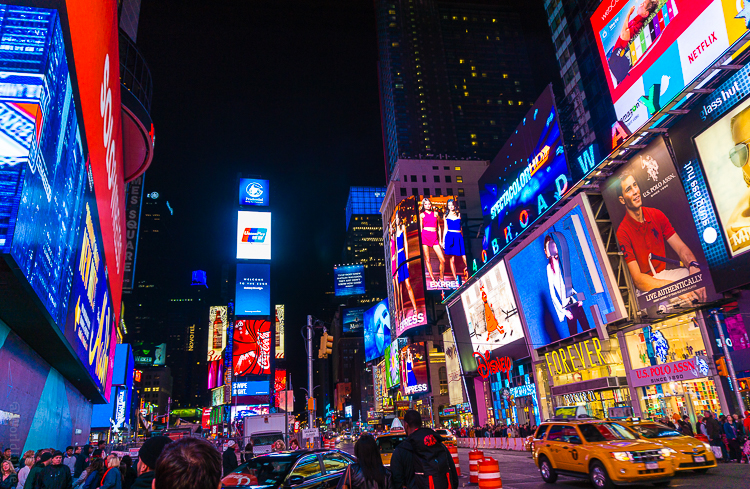 Digital billboards are everywhere now, replacing traditional posters and paper advertisements. Even daily news is delivered right to our smartphone. 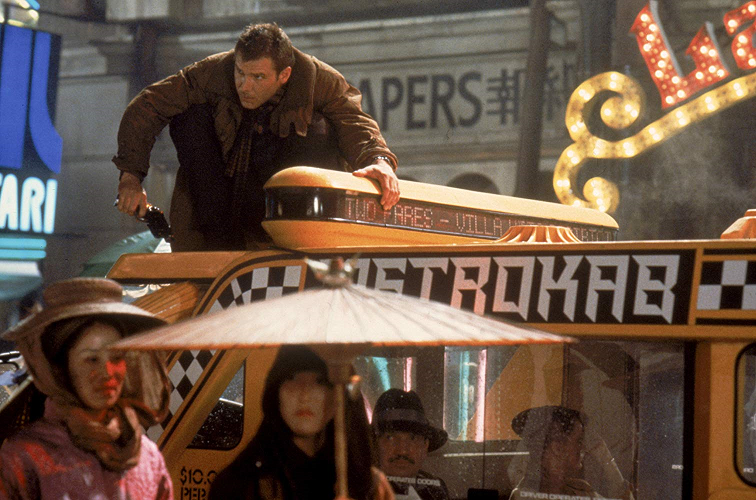 Unfortunately, Blade Runner was also accurate in predicting the overpopulation in cities today. If the movie ends up predicting the future correctly, in 20 years we’ll have robots available to us to do whatever mundane task we order them to do. That would be really cool, until they decide to rise against us with the destruction of the human race as their only goal. I mean, I would understand though – I would not want to be the robot in charge of cleaning the toilets in Taco Bell. 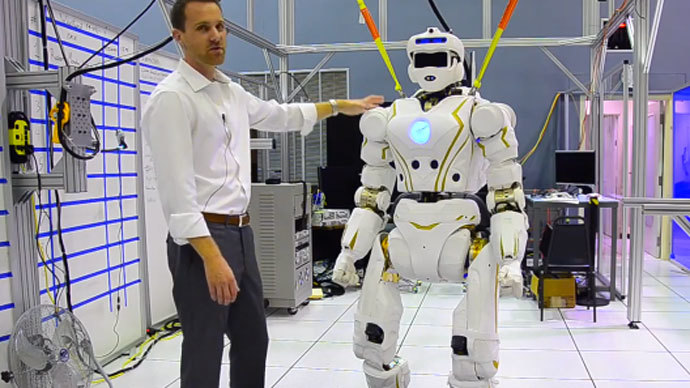 Robots are already a reality in 2019, from automated factory machines to humanoid robots that can do whatever tasks humans can do, but better. 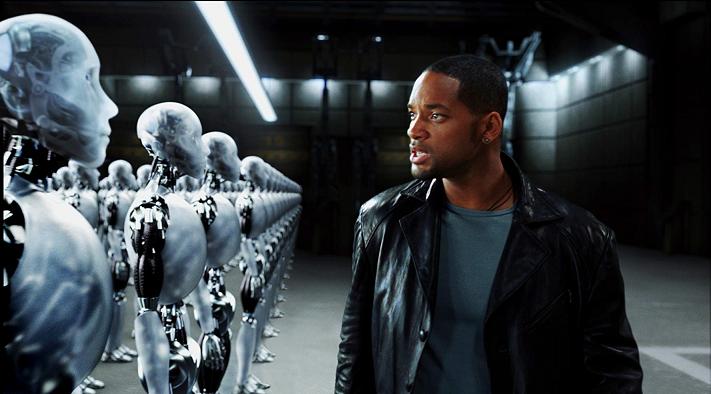 As technology continues to progress, we might actually see ourselves living the plot of I, Robot soon. Interested in learning more? Check out the 25 best tech movies of all time. Many of these titles are available at Media Services! Movies haven’t been that far off in predicting the future. While the potential prospects of technology are exciting, it does lead to certain concerns as well. Applications of AI like Siri are undoubtedly convenient but little thought is given to what we are willing to sacrifice for that convenience. It’s well known that companies aggregate user data to track everything about us, from preferences to personal information and interests. Besides companies, governments have used advancements in technology to increase surveillance power on citizens as well. It can be challenging to keep up with developments in the privacy sphere, but being informed can help protect you, and IU Libraries offer lots of resources to do just that. 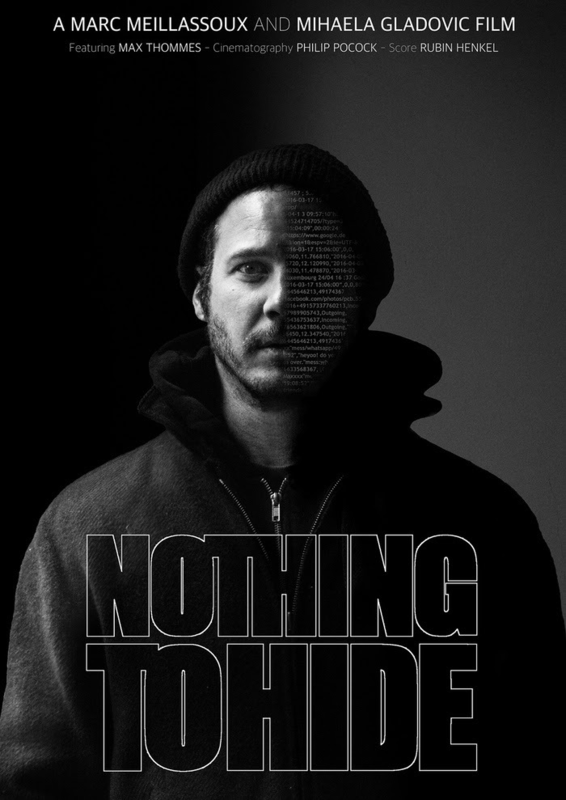 Nothing To Hide is a great documentary that questions the growing and confusing public acceptance of corporate and governmental intrusions into individual privacy rights. 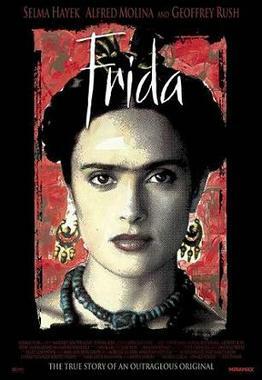 Access the book on which the film is based here, via IU’s subscription to E-Book Central. Another great documentary is Zero Days (available through our Films On Demand streaming database), which covers malicious activities like computer viruses that can be perpetrated by unscrupulous people with bad intentions. Dhruv Madappa is a Media Services student staff member pursuing a Masters in Cybersecurity at IU. *IUCAT search instructions for online resources: Using IUCAT, you can search by title, subject area, etc., and then use the search limit menus (located on the left-hand side of the screen) to narrow your format to “streaming video.” If you prefer to see all online media options (such as digitized text, audio files, photographs, video, etc. ), you can use the more general “online resource” category. Further tips, including a link to the Knowledge Base IUCAT entry, can be found here. Winter Break is finally here! It’s time to relax and spend some time with family. After such a long semester, we all deserve it. If you find yourself twiddling your thumbs with nothing to do, check out some of the comedic holiday movies below! Summary: CEO (Jennifer Aniston) of Zenotek threatens to shut down her brother’s (T.J Miller) branch. In order to keep the branch open and save his employees, branch manager, Clay, throws a wild Holiday party to try to impress a potential client. Watch if: You enjoy movies about partying or love SNL’s Kate McKinnon as much as I do. 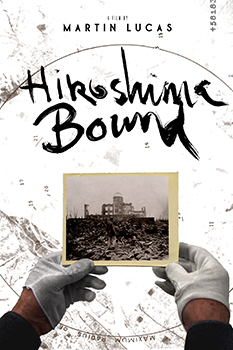 Available at residential libraries on the IUB campus. Summary: This sequel to Bad Moms (2016) follows Amy, Kiki, and Carla through the stress of the holidays when their moms come into town. They attempt to create the perfect Christmas for their kids while trying to keep a stable relationship with their own mothers. Watch if: Your family is a little crazy or you relate to an imperfect mother-daughter relationship. Summary: Father (Dusty) and Stepfather (Brad) are determined to give their children the perfect Christmas. That is, until their own fathers show up. They end up in a luxury cabin with their families after a sudden change in plans and have an adventurous holiday. Watch if: Your dad never let you touch the thermostat in your house growing up. Isabella Salerno is a sophomore studying Political Science, American Studies, and Sociology. In her free time you can probably find her in a coffee shop around Bloomington. The relationship between humans and animals is indescribable. The bond created between humans and animals is mutually beneficial and dynamic to the health and well-being of both. This bond can be traced back between 15,000 and 20,000 years, ever since humans began living in groups (https://www.smithsonianmag.com/science-nature/how-wolves-really-became-dogs-180970014/). Today in the United States, over 48% of households have a pet dog (https://globenewswire.com/news-release/2017/07/17/1047437/0/en/United-States-Pet-Population-and-Ownership-Trends-Report-2017-Focus-on-Dogs-Cats-and-Other-Pets.html). Dogs become attached to their owners, creating a special bond between the two. Have you ever heard the saying, “A dog is man’s best friend?” Well, in addition to being popularly held as true, science increasingly backs up the saying as factual: dogs have a huge impact on the emotions of a human, as well as giving humans a healthy lifestyle (http://time.com/5028171/health-benefits-owning-dog/. These are just a few that I would recommend, but there are many more films pertaining to human and dog relationships. When something bad happens in life, it is often reflected in the behavior of both the humans and their dog(s). Humans and dogs rely on each other for happiness, and having that relationship can get both through some tough times. Kayla Greenwald is a Media Services student staff member pursuing a BFA in graphic design, with a minor in creative advertising. 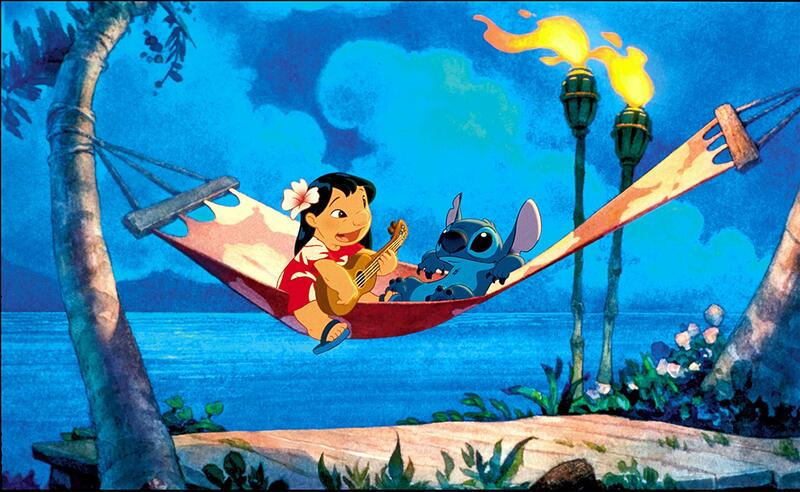 Lilo and Stitch: Untold Disney Masterpiece? When most people think of Disney movies they tend to think of the classics such as The Lion King, Aladdin, and films of that variety. The company’s decade of filmmaking from 1989-1999 is commonly known as The Disney Renaissance. This name derives from the view that there was a renewal of the Disney identity and that the “Renaissance” period was the source of their best works to date. While this may be true, I think that there is a real underdog that outshines a good portion of these films: Lilo and Stitch. 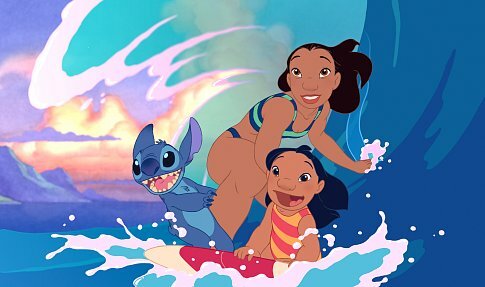 To place this movie on the Disney timeline, Lilo and Stitch was released in the post-Renaissance era, when there was a definite lull in animation box-office successes. However, to me this film is a diamond in the rough. Disney is known for their great classic romances, so for them to create such a refreshing, relatable (other than the aliens! ), feel-good film, makes this one of their best that, to me, beats out any of “the greats” any day of the week. What’s your favorite Disney movie? Character? Soundtrack? Find a list of Media Services Disney titles here! Sydney Morrow is a Junior majoring music education with an emphasis in choral education. In her free time, she likes reading ebooks on her phone and singing with the Singing Hoosiers on campus. But what if this isn’t the case? What if you had to grapple with all of the terrible actions and thoughts you have executed but not even have that comforting phrase to turn to? What if, in fact, you’re not human? The ideas of humanity, guilt, and evil are explored in the show Being Human (2011-2014). The series follows a vampire (Aidan), a werewolf (Josh), and a ghost (Sally) as they struggle with their humanity in their shared Boston apartment. Like anyone else, they make errors and fall victim to their own impulses, but considering their individual monstrous natures, the effects of such normal (human) missteps can be dangerous and even deadly. Each of the main characters in Being Human has a unique backstory, an expansive community, and undeniable capability to commit evil acts. Aidan is a veteran (of the Revolutionary War) who runs with the most powerful and dangerous vampires in town, although no longer by choice. 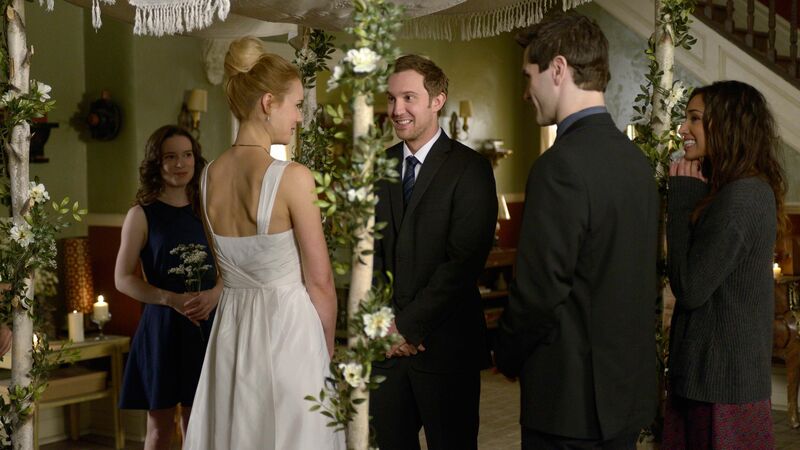 Josh was on track to attend medical school and marry his high school sweetheart until an attack in the woods, leaving his friend dead and Josh as a werewolf. Both work as nurses in a hospital in Boston and decide to room together as part of an “experiment,” with the ultimate goal of restoring their humanity. Upon move-in, the two meet Sally, a ghost who recently died in the apartment, and the rest is history. Ghosts, vampires, werewolves, and all supernatural creatures enjoy some sort of separation from human laws and customs. However, whenever Josh, Aidan, or Sally do something evil, the act is never simply accepted by the others. What makes these three unique is a consistent moral compass. Certainly, each of the roommates falls prey to their supernatural nature more than once, from committing mass murder to using black magic. However, the cohabitation experiment certainly yields positive results for all of those involved, especially Josh, the most troubled of them all. I found Josh’s story to be the most interesting, and ultimately the most uplifting, among the three original roommates. According to legend, a werewolf is an otherwise normal human until the full moon is risen. Only then do they morph into wolves and act on their purely animal, often violent instincts. Josh, however, carries the guilt of his wolf (the werewolves of the show treat lycanthropy almost as an alter ego) all days of the month. 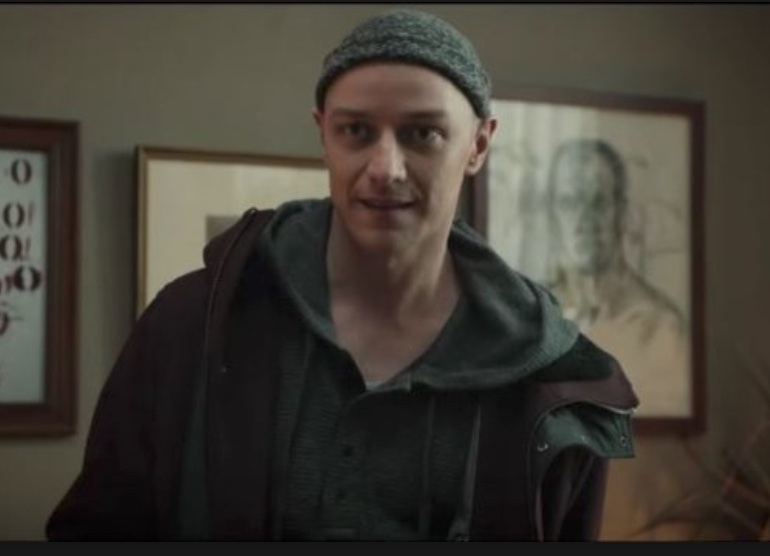 Unlike Aidan and Sally, Josh had some degree of separation from his supernatural identity and yet felt that he was the ultimate monster among them. Perhaps such close proximity to humanity makes him feel guiltier for his actions, although of the three he has the least control over his actions. As the series goes along, he begins to understand himself better, and even though he makes major mistakes along the way, he maintains a great amount of personal accountability. Only once he grapples with this personal struggle can he open himself up to the wonders of human life, such as having a werewolf wife and werewolf children. Amazingly, the three maintain the same accountability and goals as when they first moved in, even when things go catastrophically wrong. Although they make tragic mistakes, Aidan, Josh, and Sally are all aware of the impact of their actions and never stop trying to make up for and ultimately change their ways. And isn’t that what being human is all about after all? 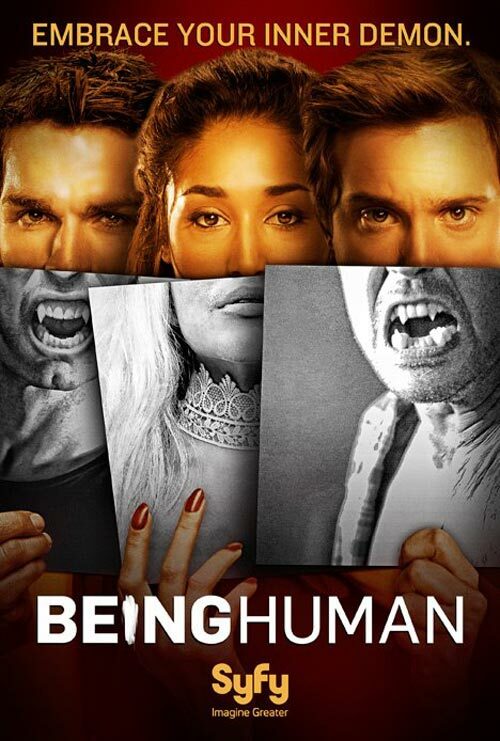 The first three seasons of Being Human are available at Media Services, in the basement of the Herman B Wells Library. If you are interested in shows that explore both self-reflection and the supernatural, I highly recommend it! Leah Ashebir is a business major at the Kelley School. She speaks German and spent last summer gaining valuable business experience through an internship at a firm in New York City. She is scheduled for a return engagement in NYC during Summer 2019, after participating in a study abroad program this spring.